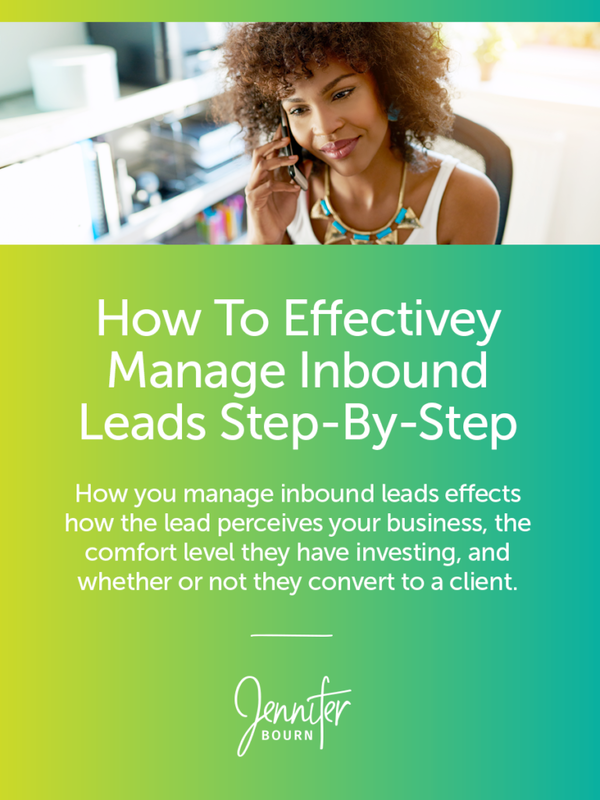 How you manage an inbound lead has a critical effect on how the lead perceives your business, what comfort level they have investing with you, and whether or not they convert to a client. Managing leads for your WordPress agency is a lot like managing restaurant guests. Recently I walked into a restaurant with my husband, excited to enjoy a delicious dinner. I had been looking forward to dining at this restaurant all week. We walked in and while the restaurant wasn’t crowded and no one was in the lobby area but us, the hostess never greeted us, never said hello, and never acknowledged us. After five minutes, I inquired about dining and was told to wait and someone would be with us. After almost 10 minutes, I had to ask again. Already something I was excited about and looking forward to wasn’t looking like such a good idea and I was second-guessing whether or not we should stay because they obviously didn’t care about our business. We were one of only three total parties in the restaurant at the time and it took almost 20 minutes to be seated. I wasn’t very happy, but I was willing to stick it out because the restaurant was highly recommended by a foodie friend. Unfortunately, I never did get to enjoy my meal because once we were seated, another 20 minutes passed and not one person had come to our table to say hello or take a drink order. They clearly didn’t value my business and didn’t need my patronage, so left and went somewhere else. I began the night expecting to have a fabulous meal but I was undervalued, my business was taken for granted, and I had a terrible experience. The restaurant lost money and earned a negative review, the friend who made the referral was upset, and I definitely won’t be going back or referring any of my friends. Imagine this scenario in the context of inbound leads for your WordPress services agency. A lead calls you, emails you, or fills out the new project inquiry form on your website. They are excited about speaking with you and learning about how you can help with their website. In some cases, they have been planning for and looking forward to this moment for a long time. But what happens next? Do they feel appreciated, valued, and cared for? Or do they feel ignored, unwanted, and unimportant? As I mentioned, managing leads for your WordPress agency is a lot like managing restaurant guests. You can’t ever leave them hanging. While restaurants deal with walk-ins, reservations, and happy hour guests, WordPress agencies deal with website inquiry form submissions, referrals, and cold-calls. As an agency, you need to have a plan in place to manage each type of lead. The “how much does a website cost” tire-kicker — Delete it or craft a canned response. The lead who clearly isn’t a good fit — Refer elsewhere. Don’t have a good referral? Send them to Codeable.io. The lead who might be a good fit, but you’re not sure — Send them additional clarifying questions. The lead who is definitely a good fit — Book a call right away. Over the years, I have heard several WordPress freelancers and agencies talk about making direct referrals go to their website and fill out a project inquiry form to move forward. This thought process has always confused me. The warm lead, after hearing how fantastic you were and being given your email address or phone number, reached out directly and is excited, but they are basically blown off and told to go fill out a cold form online and wait for a response. Yikes! That doesn’t create a spectacular first impression. At my agency Bourn Creative, our policy is that if a referral calls or emails us directly, we immediately jump on the phone with them no matter what. It makes the person who referred us look good and we want them to keep referring us. It makes the lead feel valued, appreciated, and important and we want them to say good things about us. It gives us an opportunity to help and make the lead’s life easier. While we never send them to a cold inquiry form, we do often ask them the same questions to determine whether the project is a good fit. If the project is a good fit, we schedule another call to discuss the project in detail. If the project isn’t a good fit, we try to make a referral or point them in the right direction. I can’t communicate enough how important it is to answer the phone. I have earned a fair amount of new business and landed some really cool projects over the years just by answering the phone and being willing to speak with a lead on the phone. This doesn’t, however, mean that you need to drop everything to accommodate them. Let them know you have a meeting that is about to start, but that you have a few minutes to chat. Ask how you can help and listen to them tell you about their project. Ask about their budget and timeline — two quick ways to qualify or disqualify a lead. Take action — If the lead is clearly not a fit, refer them elsewhere. If you are unsure about the project or the lead, give them your email address and ask them to complete some homework and send you specific information, proving they are serious about moving forward. If they are clearly a good fit, book a follow up call to discuss the project in more detail when you have more time. Like restaurants, WordPress services agencies have tight margins and rely on repeat business, new business, and referrals. Don’t make your warm leads wait at the door wondering if anyone cares, waiting to be acknowledged, and hoping to get a response. Instead, put documented processes and systems in place to effectively manage your inbound leads so they not only feel valued, special, and appreciated, but that their business matters, it is important to you, and that you are excited to move forward. This article was originally written for and published at Liquid Web.